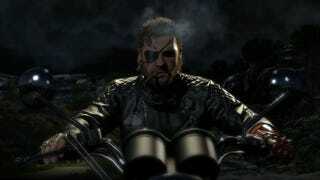 Are you ready to learn more about Metal Gear Solid V: The Phantom Pain? Maybe, say, a release date? Well, we're not getting our hopes up too much, but today's big Gamescom preview event should at least give us some more insight about what to expect from the next entry in Hideo Kojima's batshit insane stealth-action series. I imagine we'll see new gameplay and hear Kojima make lots of droll jokes about boxes. This livestream, hosted by GTTV's Geoff Keighley, should be a fun watch for MGS fans. The show starts at 2pm Eastern. Stream's below, and you can keep hitting refresh on Kotaku for all the news as it happens.